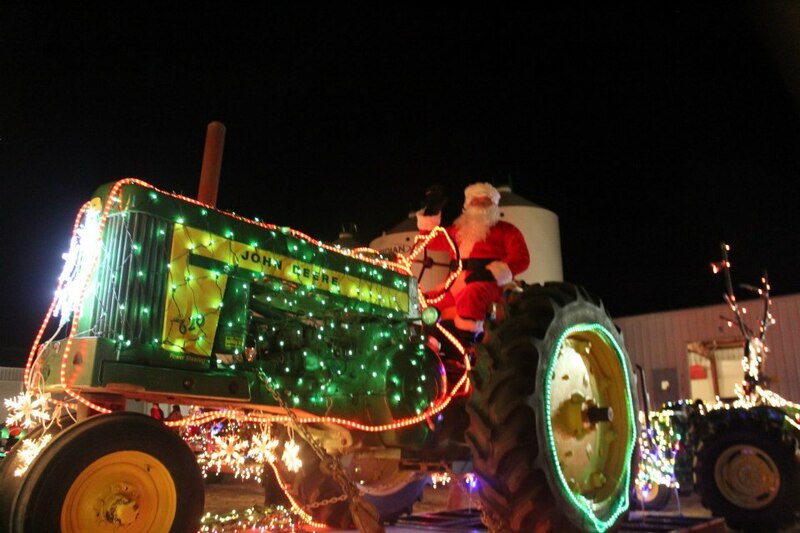 On Friday December 14, 2018, the Christmas Lighted Tractor Parade is a must-see to kick off your holiday season! Downtown Centralia, Missouri is set ablaze with a light parade dedicated to farming and our local agricultural heritage. Farms and businesses from all over Central Missouri go all out to decorate their tractors, combines, Gators and trucks for a holiday drive down the streets of Centralia. Come see the lights, decorations, fun holiday characters, and of course, Santa! Hosted by the Centralia Young Farmers the tractor parade will go on regardless of the weather. Come out and enjoy a great time (but wear a warm jacket!). ​It’s a Centralia favorite event. Bring your friends and enjoy the fun, food and festivities!